A new exhibition in the Lake District explores the relationship between humility and ambition with 'quiet' works by 10 artists that in different ways evoke the spirit of Kurt Schwitters. Pippa Koszerek reports. 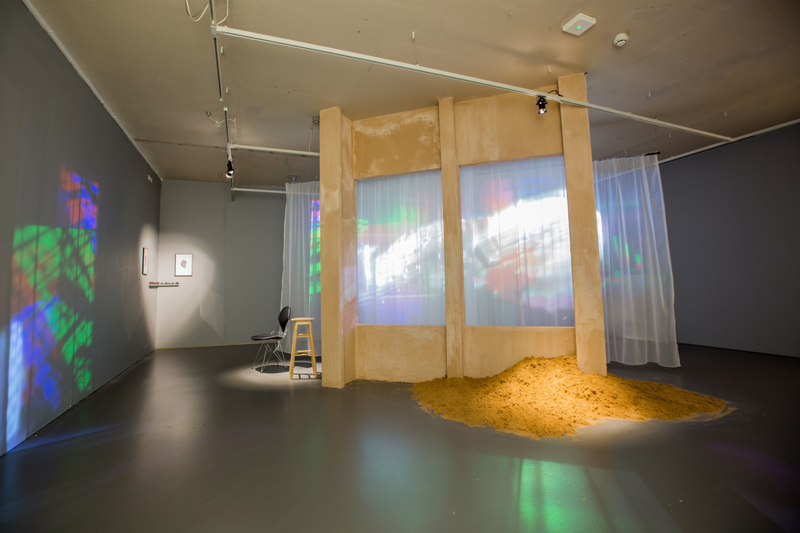 London-based artist Roland Hicks is talking about several of the works being exhibited in ‘Humble As Hell’, an exhibition he has curated at the Merz Barn in the Lake District, the final work space of German artist Kurt Schwitters (1887-1948). There is Duncan Macaskill‘s polystyrene sculptures that have been flocked to resemble fragments of stone wall, Susan Collis‘ sculptures that look like paintings, and Hicks’ own gouache and paper trompe l’oeil pieces that resemble oriented strandboard (OSB) wood. The works are particularly fitting seeing as Schwitters was known for his large-scale ‘Merz’ works – collaged sculptures that became part of the fabric of the places where he lived and worked. 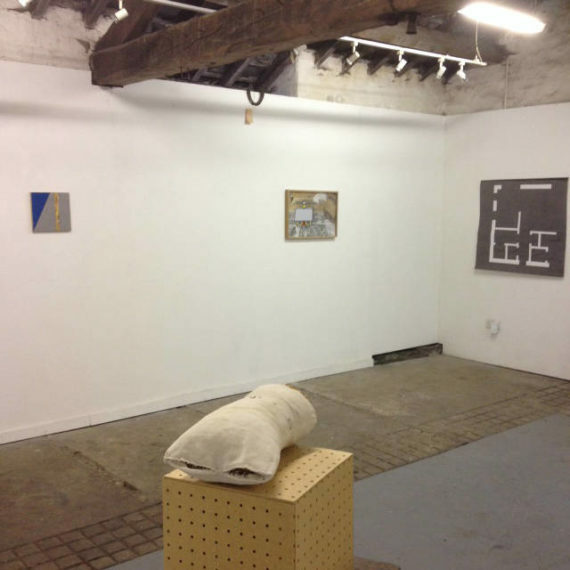 For ‘Humble As Hell’, 10 artists exhibit works across the site – the barn, the nearby Shippon gallery and outdoors – in what Hicks describes as ‘a non-exhibitionist exhibition’. The premise is an exploration of the relationship between humility and ambition, whether artists who make ‘quieter’ artworks are necessarily more humble or retiring personalities. Through his choice of artists and artworks, Hicks questions this assumption. Perhaps, the exhibition suggests, works that appear self-effacing carry a different kind of confidence or exhibitionism, making the viewer work harder and spend more time with the work in order to ‘get it’. Following internment in Norway and then Scotland and the Isle of Man during the second world war, having fled Germany as a ‘degenerate artist’, after the war Schwitters moved to London where he reignited his art career with minimal success. 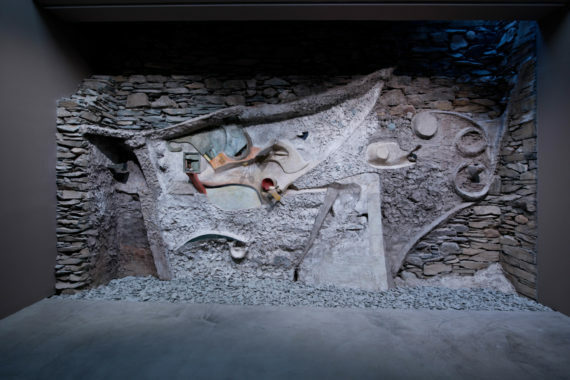 After a stroke and temporary paralysis, he moved to the Lake District in 1945 where he created his fourth and final Merzbauten, the Merz Barn Wall, in 1947-8. Located remotely in Elterwater within the Cylinders Estate, the Merz Barn is owned and managed by the Littoral Arts Trust who maintain Schwitter’s legacy through conferences, exhibitions, events and an ongoing programme of artists residencies at the site – although the future of this programme and the barn itself are in jeopardy due to a lack of funds. Most notable about the Merz Barn itself is the absence of an artwork by Schwitters. After his death in 1948, the barn fell into disuse until a conference on his work in 1958 prompted talks to begin on how to preserve this final, unfinished work. It was eventually gifted to Newcastle University in 1966. Since then, Schwitters’ wall has been installed in Newcastle’s Hatton Gallery where it is the only artwork on permanent display. 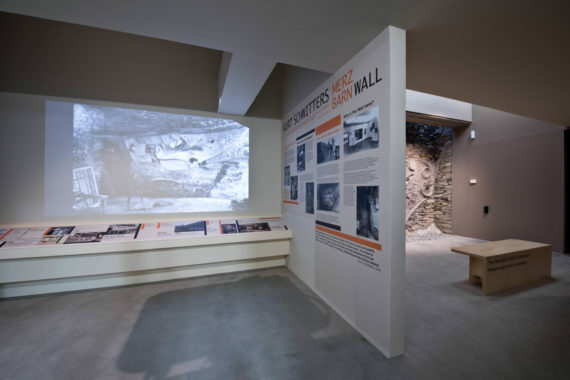 Earlier this month, the gallery reopened following a £3.8million development in which the Merz Barn Wall also underwent conservation and is now presented, alongside new interpretation materials, in a central position within the gallery. Indeed, Schwitters’ influence can be seen within a number of the works, such as Neil Gall‘s oil painting on jesso of a collage that is itself influenced by a Schwitters collage. 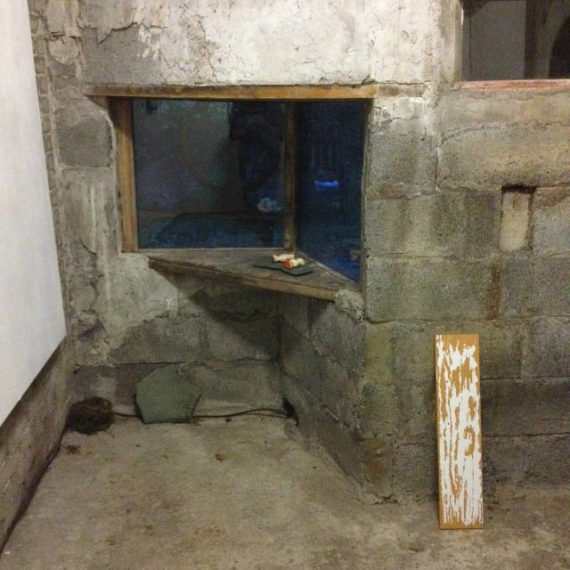 It’s also there in Paul Housley‘s soap bar carving, echoing Schwitters endless ability to be creative with whatever was available, particularly his use of porridge as a sculptural material during his internment on the Isle of Man. Nicky Hirst is the only artist to make new work specifically for the site. She has created four signs for the Merz Barn featuring anagrams that relate to the exhibition title, the area and the site. 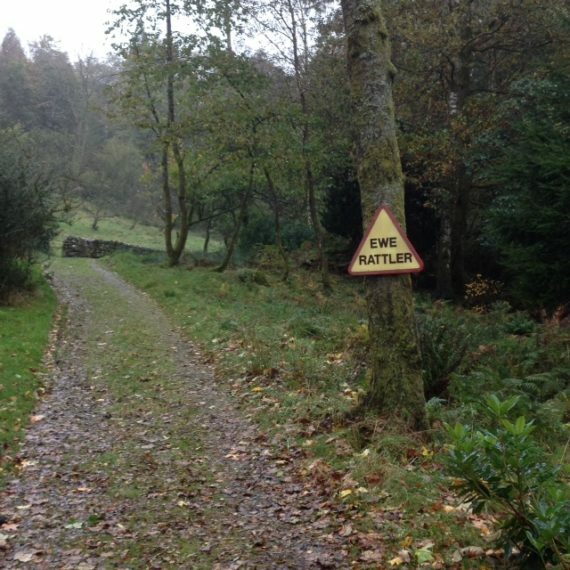 ‘MRBRAZEN’, ‘EWE RATTLER’, ‘AHUMBLESHELL’ and ‘HAMHELLBLUES’ are painted on wooden or found signs, evoking the vernacular and handmade signs that are found in the Elterwater area, and purposefully fabricated with the duration of the exhibition in mind. Hirst speaks of the signs’ potential for decay within their surroundings, or of being taken, should a passer-by take a fancy to one. 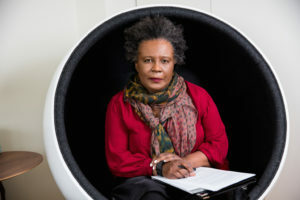 “If you don’t live in that area, then it is a bit of a pilgrimage to go there and so you have to make an effort… I find something quite attractive and something quite perverse about that,” she says. ‘Humble As Hell’ continues at the Merz Barn and Shippon Gallery, Elterwater, the Lake District until 18 November 2017.